Scott G. helping to carry more Hillside Organic Pizza’s in….Yum! 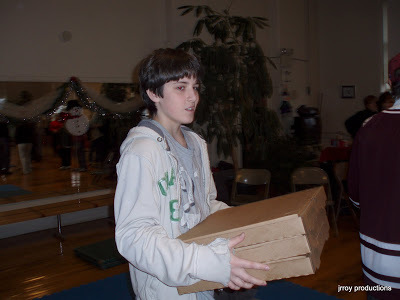 Scott was the only youth Karate-do student to sign up on the ‘volunteer to help set up and/or clean up’ list. Kudo’s to Scott;>) Thanks for the help!